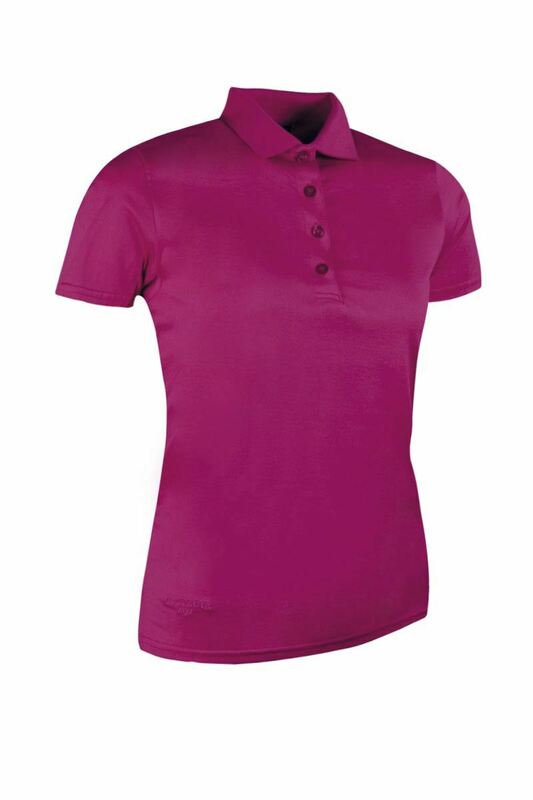 Simply a more stylish golf shirt, the soft sheen finish of the Glenmuir Michellle polo brings its good looks to the golf course courtesy of a 100% mercerised 2/70s combed cotton yarn, giving it a luxurious lustre and excellent drape, cut in a shaped fit. Michelle has a self-colour anti-curl rib collar and cuffs, along with a four-button neck with angled placket detail. The shirt has Glenmuir's signature performance finish and bears a Glenmuir woven tab on the right sleeve cuff. A matching men’s version, Howth, is also available. 100% mercerised combed cotton jersey solid colour shaped fit luxury polo. Cotton elastane anti-curl rib collar.